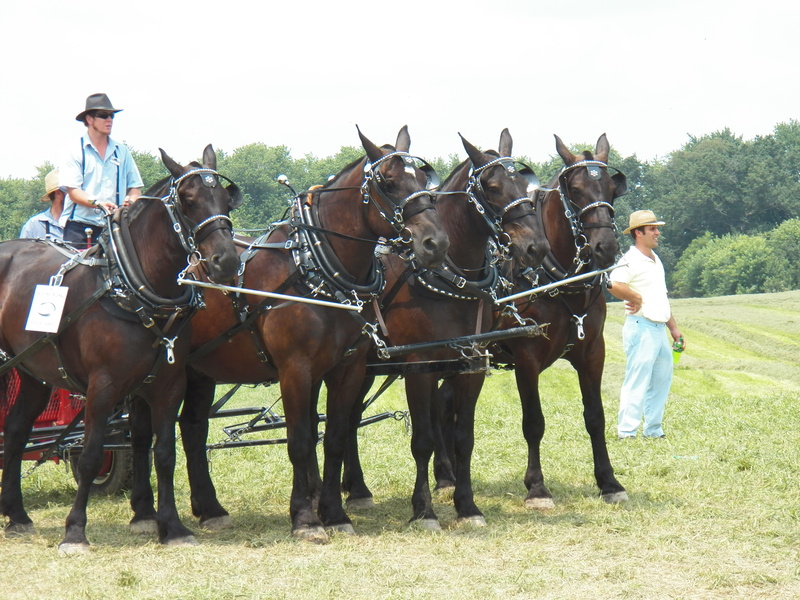 As I was looking through my photos of this year’s Horse Progress Days, I came upon this one of these Percheron horses. I am partial to this breed and especially the black ones. This photo illustrates why. Percheron horses come in a few colors. The black ones are born black and stay that way. The dapple gray ones are born black, but kind of a mousey color. They start to turn gray as they age, the dapples look beautiful by the time the horses are four or five, but then slowly fade to pure white. I have owned them in all colors, but like the black ones best. The breed was once America’s favorite, but after World War II and the resurgence of the draft horse, the Belgian horse now dominates the heavy horse world here in the states. Draft horses and draft breeds all have their fans. Liking one over another is a personal preference. One thing for sure, once you get hooked on them…the love affair runs deep!